At a time when what divides us gets undeserved prominence, it is refreshing to discover our mutually shared connections through the universal language of music. 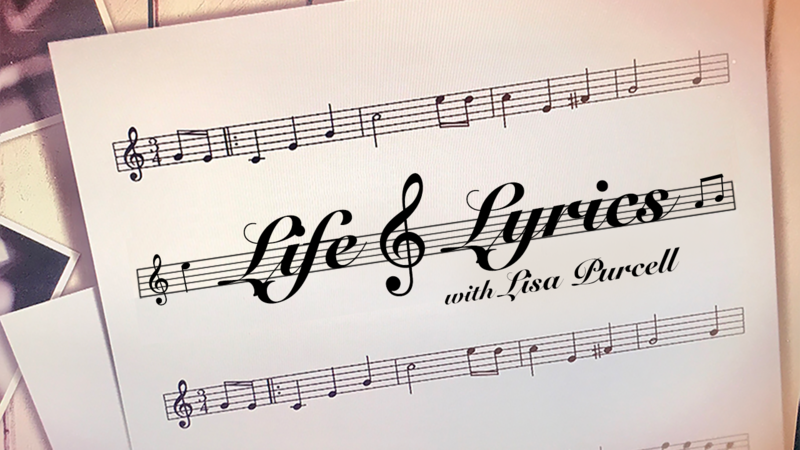 Life and Lyrics with host Lisa Purcell casts a warm and personal light on the power of music. The interviews highlight a particular lyric or song, or perhaps a musician or band, that holds special meaning to guest being interviewed. Viewers of Rhode Island PBS have enjoyed the one-on-one conversations as interstitials - short videos tucked between scheduled programming on WSBE Rhode Island PBS and WSBE Learn. Now, on Saturday, October 21 at 7 p.m., viewers will experience Life and Lyrics in a longer-length 30-minute format. The first compilation features conversations with Governor Gina Raimondo and First Gentleman Andy Moffat, NBC10's morning anchor Frank Coletta, and The Station nightclub fire survivor Gina Russo. The show shares personal revelations as they relate to music, such as what is Governor Raimondo's favorite work-out music, or what does Frank Coletta listen to on his way in to work? The interviews reveal the true power of music: the power to heal, influence, motivate, and educate. In the series, some Rhode Islanders reveal why a song inspires them, while others share a memory it sparked, and others still tell just how the song got them through a difficult situation. "Music brings people together and creates a bond like nothing else can," said Lisa Purcell, show creator and host. "Music can even provide the solution to a problem - it's mood-altering and therapeutic. I know how deeply it's helped me, and that inspired me to reach out to others for their stories." No matter where we live in the state, the country, or the world, music has a profound, universal capacity to affect us. In a common, human response to vibrations, a melody can move and soothe us. Life and Lyrics tames the universal power by expressing it one personal story at a time. After the premiere on October 21, this episode of Life and Lyrics will encore on Tuesday, October 24 at 10 p.m.
WSBE Rhode Island PBS broadcasts high-definition content over-the-air at digital 36.1; on Rhode Island cable services: Cox 08 / 1008HD, Verizon FiOS 08 / 508HD, Full Channel 08; on Massachusetts cable services: Comcast 819HD, Verizon 18 / 518HD; on satellite: DirecTV 36 / 3128HD, Dish Network 36.